Janakpurdham, 11 May- Prime Minister KP Sharma Oli and his Indian Counterpart Narendra Modi today jointly announced the opening of “Ramayan Circuit” from the premises of the Janaki Temple in Janakpurdham. Likewise, both leaders jointly flagged off a green flag at the temple premises in a symbol of the inauguration of Janakpur-Ayodhya-Janakpur (Nepal-India Friendship) bus services. On the occasion, Indian Prime Minister Modi expressed his gratitude for the warm reception he was offered in Janakpur. He, calling Prime Minister Oli ‘mere bhaisab’ in Hindi which means ‘my brother’ in English, expressed his happiness over the arrival of Oli in the town to welcome him. 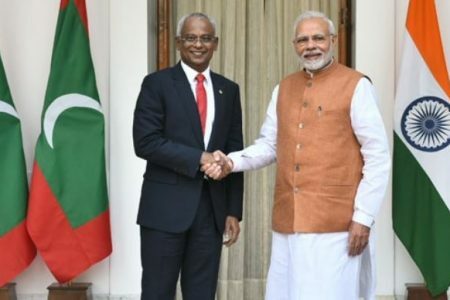 “Respect and hospitality I was offered here was for the people of the entire India,” Prime Minister Modi said, expressing his confidence that the operations of Ramayana Circuit and bus services would help expand the prime ministerial level relations to the people’s level. “Respected my brother KP Sharma Oli I am very much pleased to see you here in Janakpur to in my welcome ,” he said, adding that he was arrived in Janakpur as the first Prime Minister of India and delighted to pay homage to the king Janak and mata (goddess) Janaki. He said he hoped that increasing bilateral trips would be a support in economic development through the means of tourism promotion. 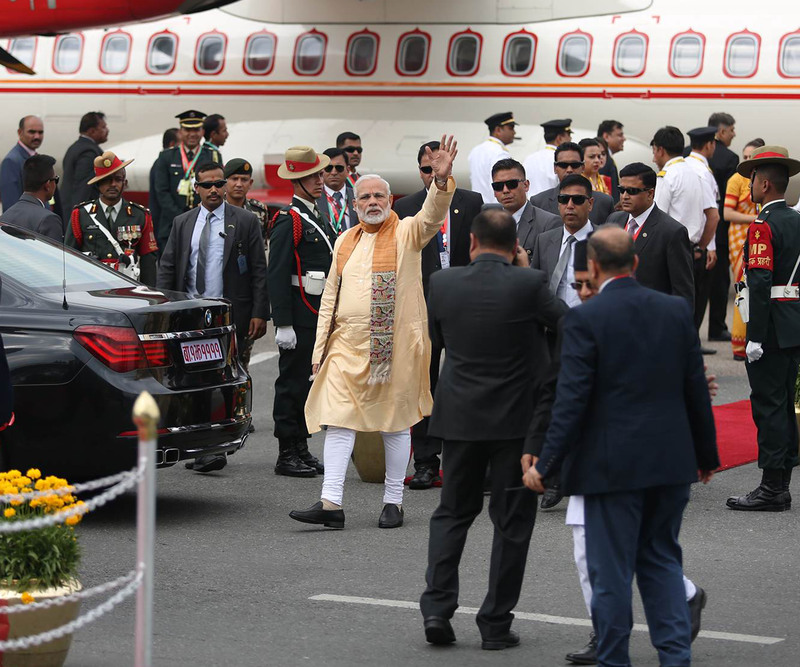 The Indian Premier frequently applauded the Nepal government, province government (province 2), local government, locals and Prime Minister Oli for extending him warm welcome in the town. Similarly, Prime Minister Oli said he was very much pleased to be in Janakapurdham to welcome his Indian counterpart. He expressed his hope that the launching of Janakpur-Ayodhya Bus Services and the Ramayana Circuit would help promote religious tourism. He viewed Nepal-India relations as cultural, religious and social that date back to ages, while referring to the continuity of the custom of symbolic marriage of Sita from Janakpur and Ram from Ayodhya in India where Lord Ram with wedding attendants reaches Janakpur for the wedding ceremony, and returns with his bride Sita. 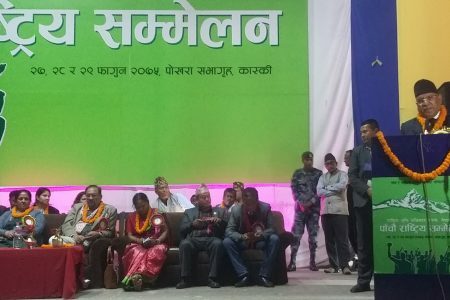 Prime Minister Oli also remembered Janakpur as the land of discourse on religion, education and knowledge, and as a place where Lord Shiva’s bow was broken by Lord Shri Ram and the wedding of Ram and Sita. 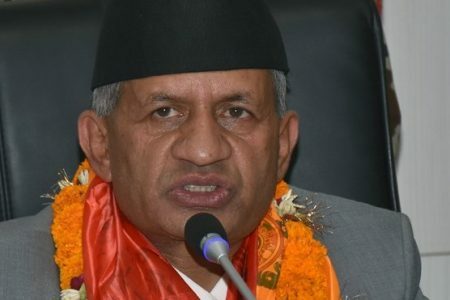 Saying Ramayana Circuit would be constructed by linking Dhanusadham, Janaki Mandir and Balmiki Ashram, he hinted to a delay in implementing past agreements between Nepal and India. Visiting Indian Prime Minister Modi completed his worships at the temple within one hour.